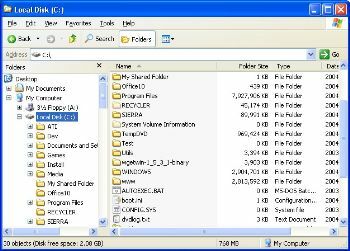 Folder Size is a project that adds to the Windows Explorer, the folder size column. This provides not only useful information but it also lets you know if a folder has a lot of junk in it so you can do file cleanup a lot easier. Explorer will automatically scan the folders and keep the sizes updated without manual interference. The background scanner will only run when other applications are not running (so has some sort of process priority). Pretty neat little open source project.